Thai Coconut, Mexican Jalapeño and English Toffee Peanut M&M's: FLAVOR VOTE! M&M's is putting three new limited-edition, international-inspired flavors to the vote! Try all 3 NEW flavors then vote for your favorite at www.flavorvote.mms.com! The winning flavor will receive a wider release once the winner is announced. Which one will you vote for? This is the most intensely flavored variety of the three contenders. There's a hint of lemongrass lingering in this coconut milk flavored candy and with the roasted peanut, it really tastes like a Thai curry coconut dish! This variety in the most subtly flavored and tastes the most like a regular Peanut M&M. The jalapeño flavor is very faint at first but a pleasant spicy heat kicks in towards the end. Muy delicioso! This flavor is also very strong and reminiscent of buttery English Toffee candy. It's cheeky fun! Must be 13 years old to vote. Voting ends 5/17/19. Nestlé Chunky Candy Bar: BEST OF AMERICA'S SNACKS! For decades, Nestlé Chunky has been delighting American taste buds with its unique fruity, nutty flavor. This scrumptious and satisfying milk chocolate candy bar is made in the USA, and you can feel good about enjoying this wholesome treat because it's made with antioxidant rich California raisins and protein-packed, roasted peanuts! McDonald's Signature Sauce: ADDICTIVE NEW CONDIMENT EXPOSED! Does McDonald's Signature Sauce contain addictive substances? We think it must because it's so dang tasty, we think about it all day long! First unveiled alongside McDonald's Buttermilk Crispy Tenders in 2017, Signature Sauce is a sweet and tangy creamy sauce inspired by McD's iconic Big Mac Special Sauce. We tried Signature Sauce on our fries, McNuggets and Double Cheeseburger and it tasted scrumptious on everything! The sauce, reminiscent of the American classic Thousand Island Dressing, is subtle in flavor and highlights anything it touches. Try it out for yourself, but be forewarned . . . you might not be able to stop! 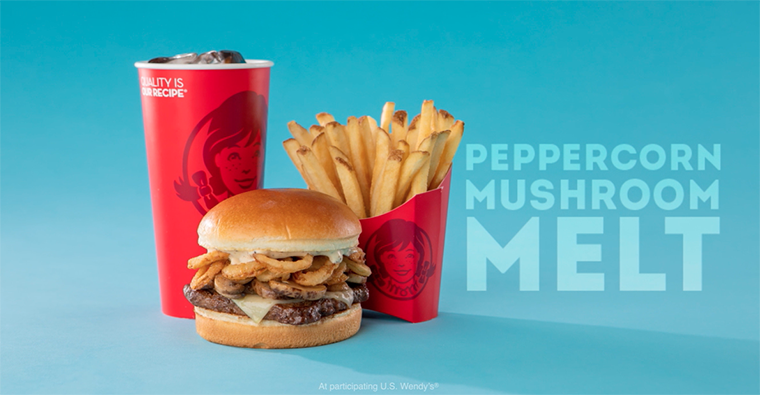 WENDY'S MADE TO CRAVE BURGERS: S’Awesome Bacon Cheeseburger, Peppercorn Mushroom Melt & Barbecue Cheeseburger! 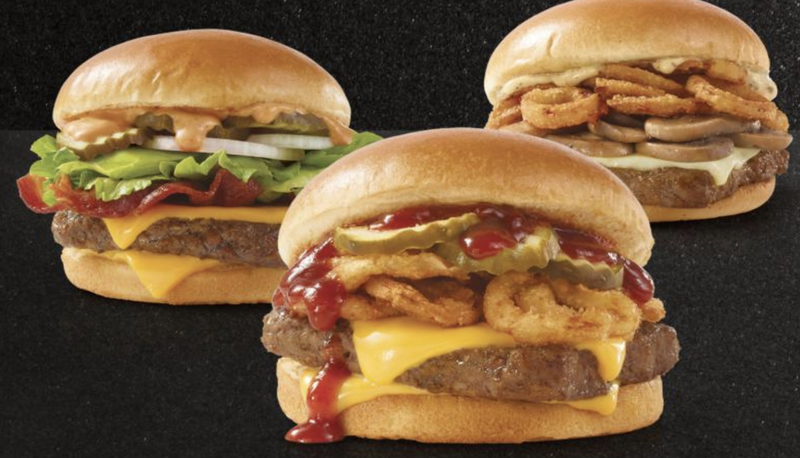 Wendy's is now serving a Made to Crave menu with three exciting NEW burgers! These decadent menu items feature quality ingredients and fresh crave-able flavors! Which one will you get? 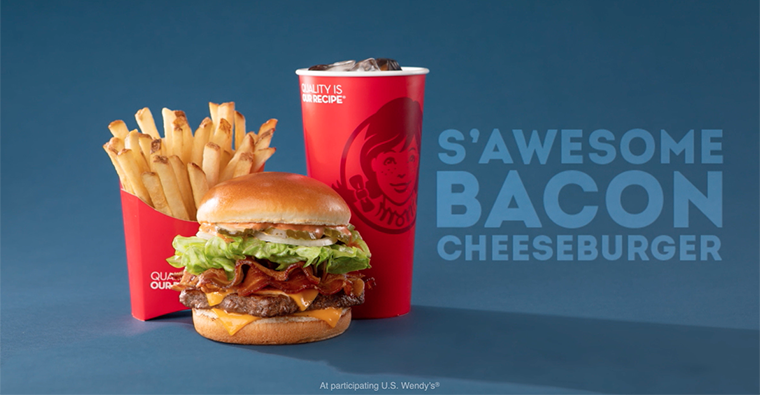 S’Awesome Bacon Cheeseburger: Since this fan-inspired favorite received so much love as a limited-time offer, Wendy’s is bringing it back and it’s just as S’Awesome as you remember, taking the beloved bacon cheeseburger to new heights with Wendy’s Side of S’Awesome™ sauce. Peppercorn Mushroom Melt: Raising the bar on burger quality, the Peppercorn Mushroom Melt features white mushrooms that are grown and handpicked in the U.S., sautéed, fire-roasted and seasoned. Did we mention crispy fried onions and that it’s topped with a smoked peppercorn aioli that uses fresh garlic and undertones of mushroom? Savory, to say the least. 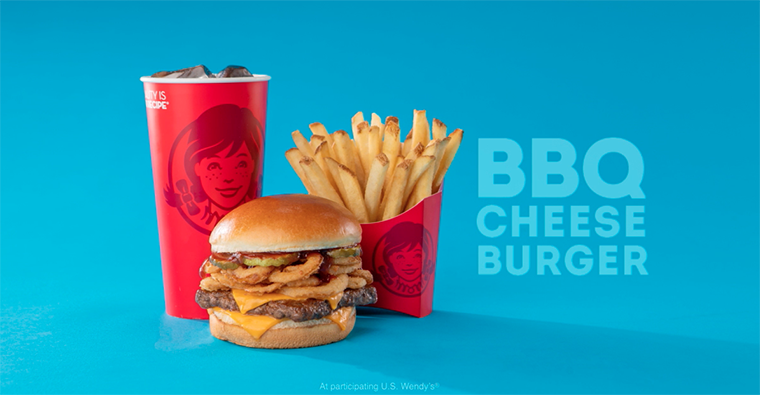 Barbecue Cheeseburger: When it comes to making barbeque taste great, Wendy’s knows what’s up. This burger finds that backyard balance of sweet and heat, with a touch of smoke. Top contender for comfort and cravability? We think yes! McDonald's Cheesy Bacon Fries & Big Mac Bacon: BACON ME CRAZY! McDonald's is sprucing up some of their classic menu items with one of America's favorite ingredients, BACON! 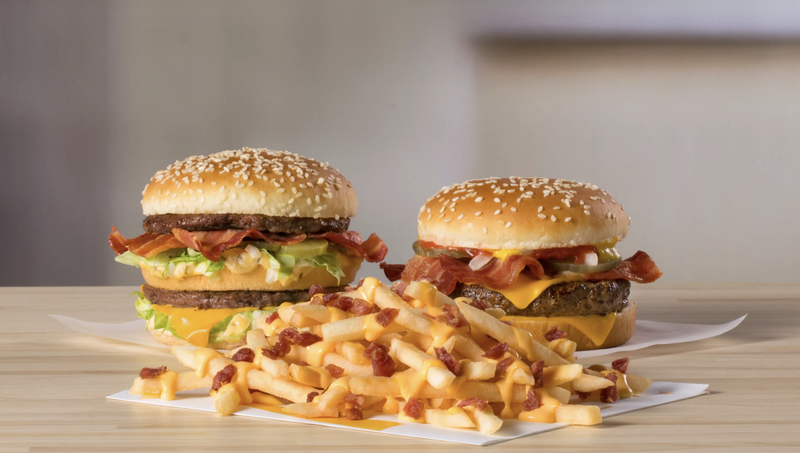 Now for a limited time, McDonald's is serving Cheesy Bacon Fries, Big Mac Bacon and Quarter Pounder Bacon at locations in the contiguous US. We tried a Big Mac Bacon and Cheesy Bacon Fries and were delighted by the punch of bacon flavor in every bite. The classic taste of a Big Mac is elevated with three slices of crisp Applewood smoked bacon. And the addition of melty, hot cheddar cheese sauce and smoky bacon bits to McDonald's signature fries is a decadent flavor revelation that's sure to please fast food fans across the nation. Try it out for yourself while supplies last!